Op TRENTON is the UK’s contribution to the United Nations Mission in South Sudan (UNMISS). 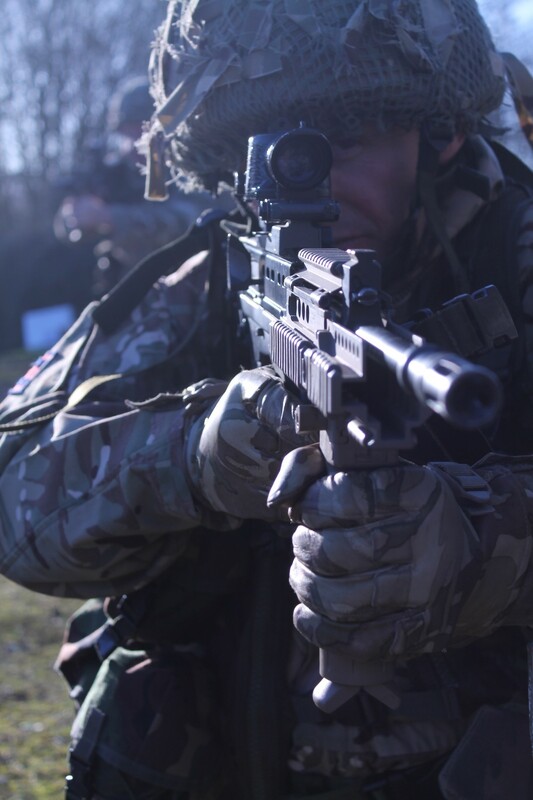 The UK’s first large scale UN peacekeeping mission since Bosnia in the 1990s, since its beginning in May 2016 it has grown to approximately 400 service personnel from 25 different units. The UNMISS role in South Sudan is to protect civilians, create the conditions conducive to the delivery of humanitarian aid, and support the peace process and Human Rights. In UNMISS soldiers work alongside a wide variety of other troop-contributing nations including Mongolia, India, Cambodia, Ghana and Rwanda. 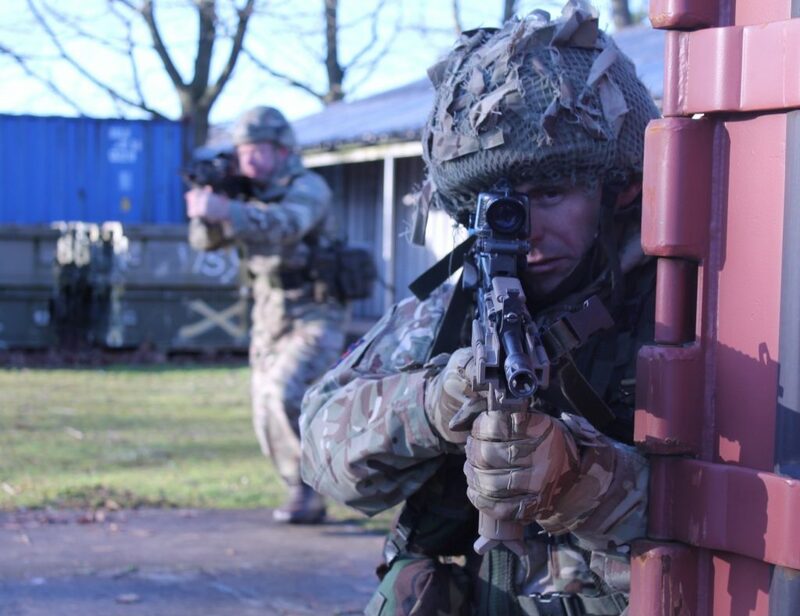 The British Army’s Engineer Task Force has been busy constructing the Task Force Base in Malakal and Protection of Civilians (PoC) camps at Bentiu and Malakal in the north of the country, as well as a temporary Field Hospital followed by a permanent one. A number of other infrastructure tasks are ongoing and planned to be complete within Op TRENTON’s lifetime. 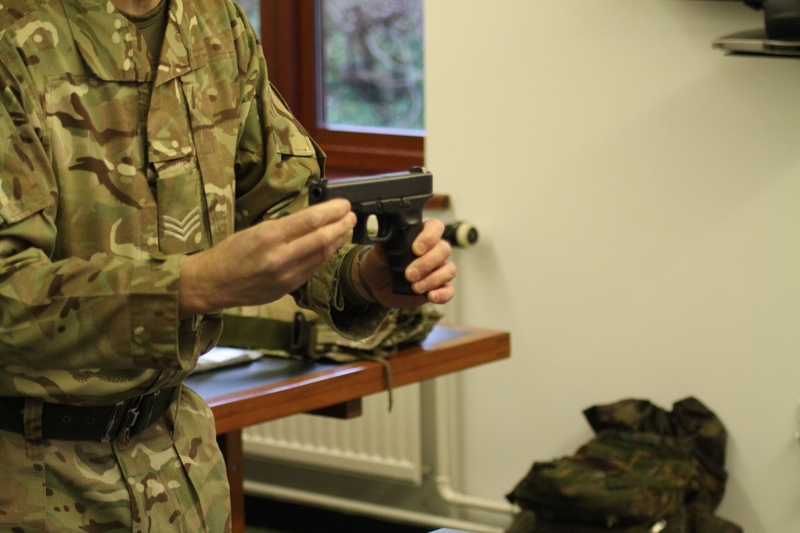 Whilst Royal Engineers (RE) make up the majority of the force, soldiers from many other branches of the British Army, especially the Royal Army Medical Corps, are also involved in various ways. British Army Reservists are often offered the opportunity to serve alongside their Regular counterparts on courses, training exercises and, of course, on operations. 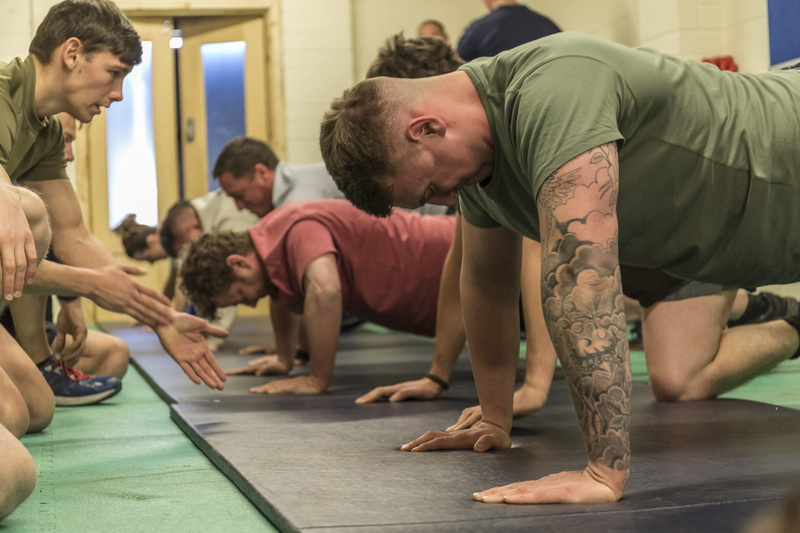 If they decide to do this they will become, effectively, a Regular soldier for the duration of that ‘tour’ as well as the post tour leave and, most importantly, the pre-deployment training package that all soldiers undergo to ensure they are at their peak for the operation at hand. 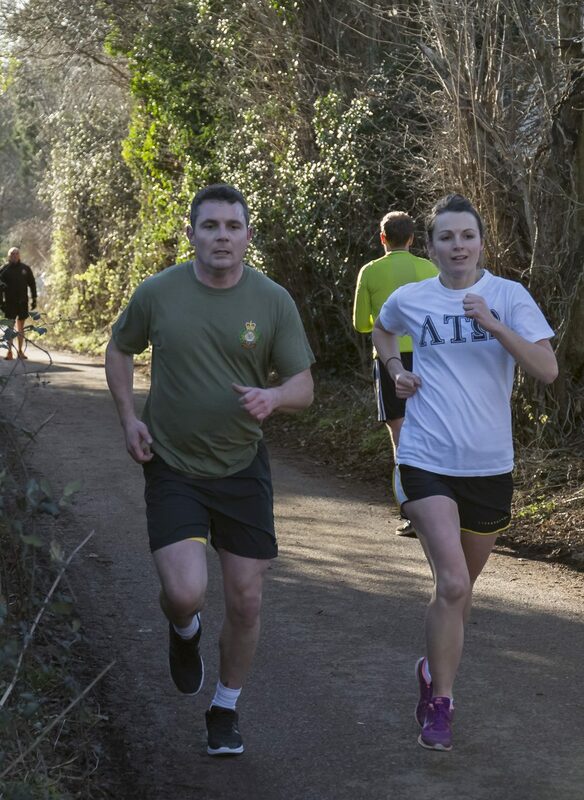 Before a Reservist joins the Regular unit they must ensure that the foundation skills required are up to date as well as their fitness levels being sufficient. 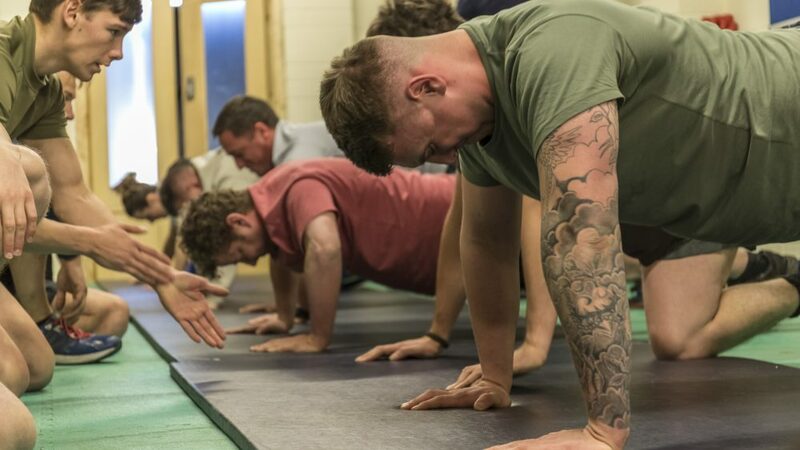 Whilst all Reservists complete their Mandated Annual Training Tests (MATTs) every year in order to qualify for their tax-free bounty payments these normally only have to be to Level 2. 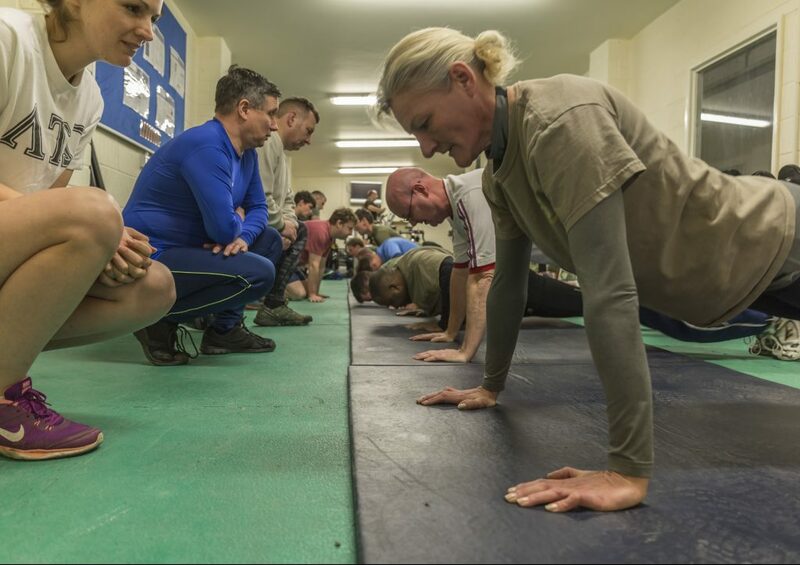 To deploy on tour they will have to pass at Level 1, which makes the tests a little more demanding-though by no means a superhuman effort. 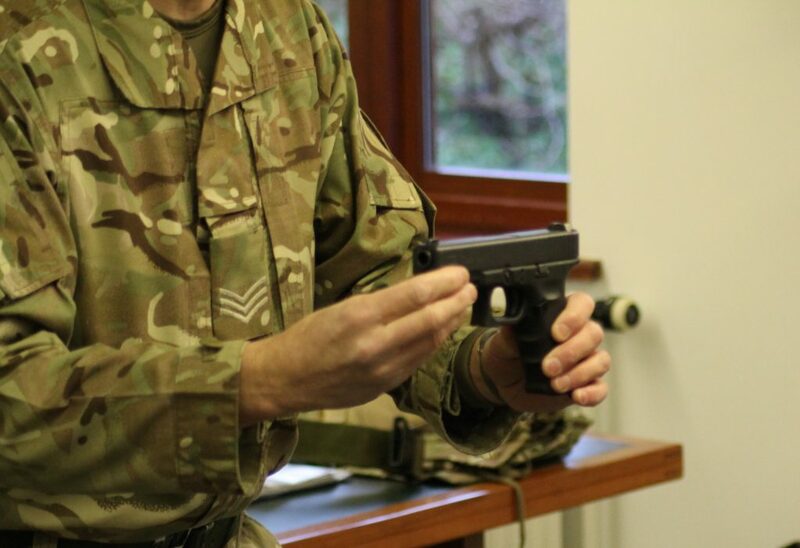 Officers and Soldiers from The Royal Monmouthshire Royal Engineers (Militia) who have volunteered for Op TRENTON, joined by some of their counterparts from HQ 8 Engineer Brigade Communication Information Systems (CIS) Troop, began their preparations this weekend. 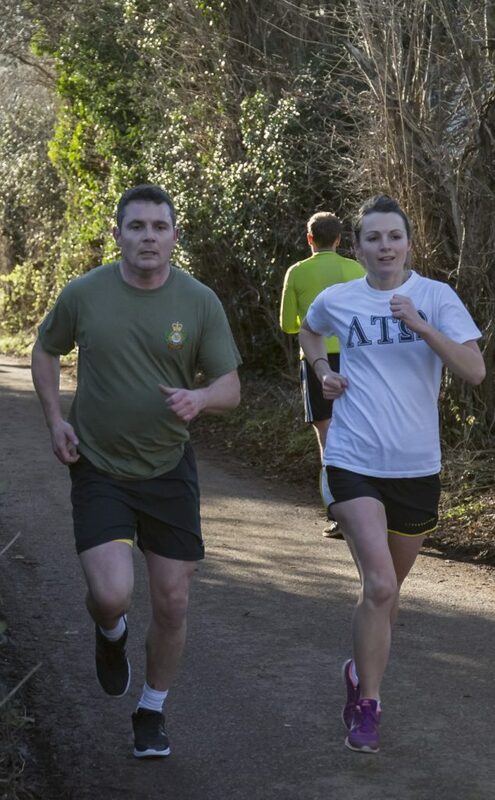 A fitness assessment was carried out along with briefings on the forthcoming tour and weapons training culminating in a pairs battle run. 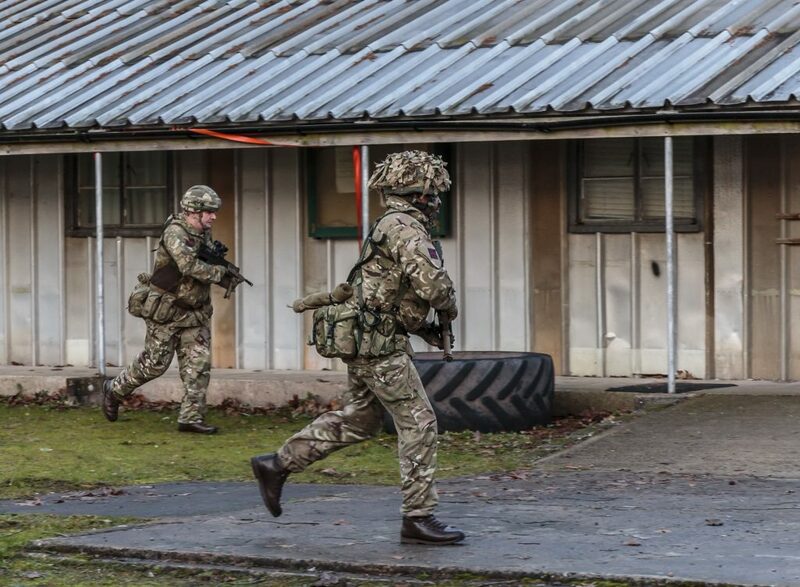 A clip from a recent documentary about Op TRENTON is available from the BBC here. If you’d like to see more about The Royal Monmouthshire Royal Engineers (Militia) go to our Facebook page or see more photos from the weekend.